It's easy to cram your home full of smart gadgets, with smart lights, smart thermostats, smart speakers, smart smoke detectors, and a whole lot more. That can turn into technology overload, particularly if you wind up with connected devices that don't talk to each other. One answer to smart home clutter is picking up tech that multitasks, like the recently-released First Alert Onelink Safe & Sound. The Onelink Safe & Sound isn't a combination you might think of: it's a connected smoke and carbon monoxide detector with a built-in speaker and Alexa support — so it can take requests and play music via Amazon's smart assistant. And because Alexa is compatible with tons of smart home gadgets, that makes the Onelink Safe & Sound a handy way to control your entire smart home by voice. And if you're an Apple user, it also supports Apple HomeKit so it fits in neatly with an Apple-centric setup. 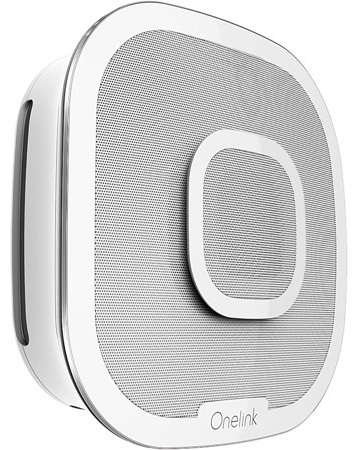 With its AirPlay 2 support, the Onelink Safe & Sound can also act as an additional speaker for a multi-speaker sound setup — something Alexa speakers can already do but is brand new to AirPlay. Bundling the convenience of a smart speaker with the must-have safety of a smoke and carbon monoxide detector works tremendously well. Its position on the ceiling puts it in the perfect place to pick up voice requests while its omnidirectional speaker fills the room with music. And the Alexa integration really shines, letting you use a device you already need in your home to access thousands of convenient Alexa skills. Set a timer, check the weather, or call for an Uber just by asking. 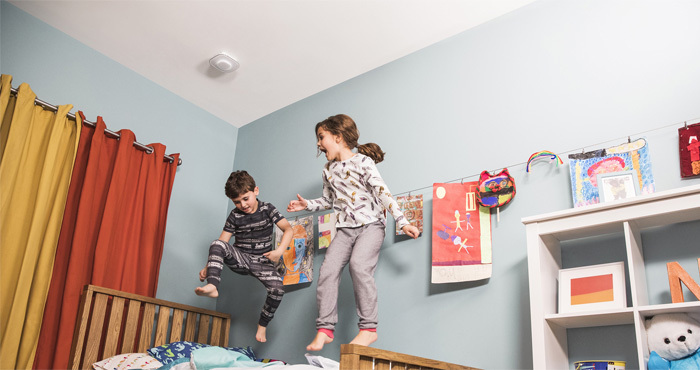 The Onelink Safe & Sound is an excellent connected smoke and carbon monoxide detector. It uses a photoelectric smoke and electrochemical carbon monoxide alarm for accurate readings, and it can connect to other detectors in your house using existing wiring. If it detects anything amiss, it will send a push alert to your smartphone as well as sounding an audible alarm in the house, with a voice message pinpointing the location of the fire and telling everyone to evacuate. You can buy the Onelink Safe & Sound now from First Alert for $249.99 (check price on Amazon).